Itai Pazner becomes new CEO at 888 - Read more here! After eight successful years, 888 Holdings CEO Itai Freiberger officially steps down. Going forward, Itai Pazner will now take his place as the new chief executive. Now that this move is official, we might see a more dominant 888 in New Jersey. Pazner has been with the company since January 2001, where he began as a marketing manager. Since then, he’s rise up the ranks and now sits at the top. With that said, let’s examine the details and reveal how this could be a game changer in the Garden State. As mentioned above, Pazner has been with 888 for more than 18 years now. Not to mention, he’s a known man for his innovative ideas and plans. Also, he has complete oversight of all operations at 888. So without a doubt, he knows how to lead 888 and take them further than they’ve ever gone before. And with the US markets opening up from coast to coast, he’s now in a prime position to deliver in these new territories. In addition to that, Freiberger will also remain on board as a director for at least 12 more months. And the plan is to secure a smooth transition, which will allow Panzer to continue working on various strategic initiatives. With that said, it’s going to be exciting to see what Panzer has in mind and in store for NJ and 888’s future at hand! 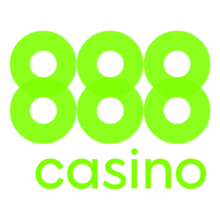 After all the new CEO is first a Marketing Manager, so there’s no doubt he’ll bring a lot of fresh initiative that may see 888 becoming even more competitive in the Garden State.